I'll write about the work flow of interior design. I called the first meeting with client "orientation". This is necessary for understanding what client wants and to make task clear. collect information as much as possible by hearing, question, and conversation. I write keywords radially, not itemization. Upper image is memo that I drew on real orientation. 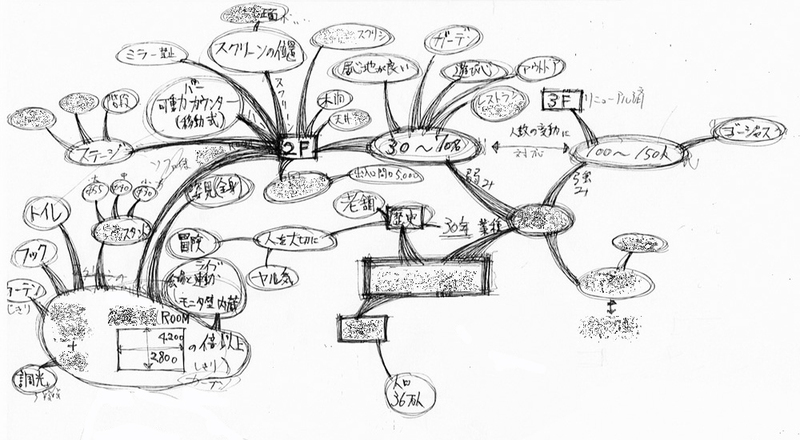 The mind map I arranged memo in my office later date is below. 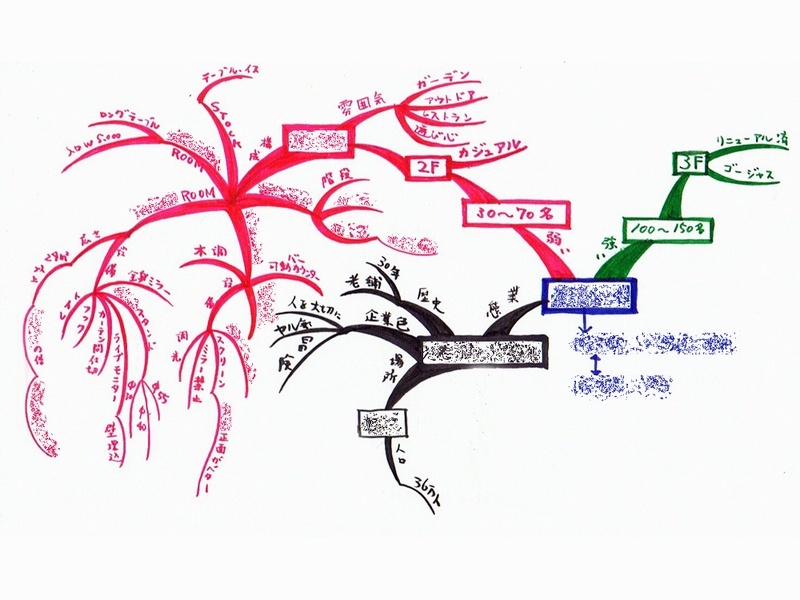 Using mind map makes easy to understand subjects, relation and priority of them, this is a great clue of concrete works like drawings and CG images.